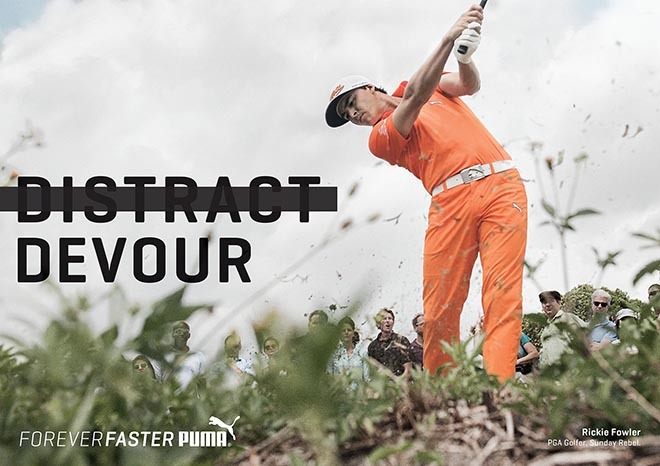 Puma is running “Forever Faster”, an integrated advertising campaign recognising athletes who stand out as individuals through both performance and personality. PUMA’s push to become the Fastest Sport Brand in the World is promoted in a television commercial, print advertising, and out of home work in metro stations, billboards, buses and trains in some of the world’s largest cities. 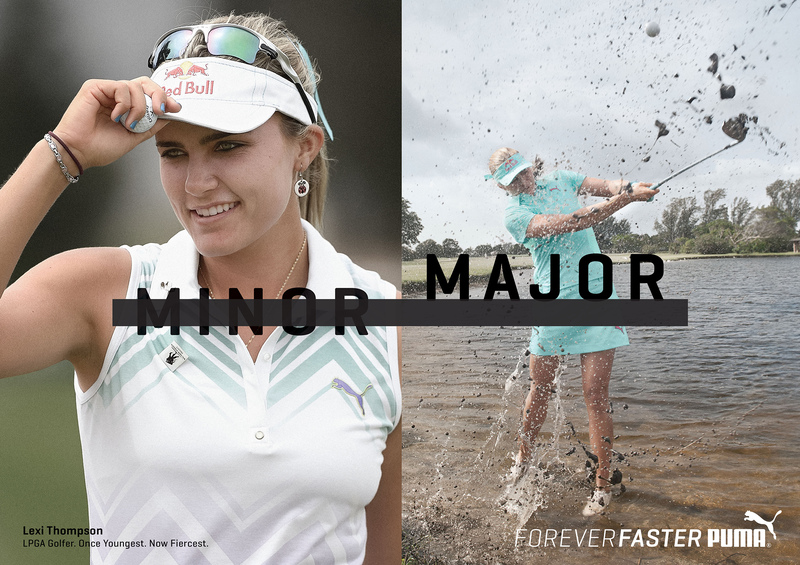 Forever Faster recognises athletes who stand out as individuals through both performance and personality, including the world’s fastest man Usain Bolt, football icons Mario Balotelli, Sergio Agüero and Marta Vieira da Silva, golfers Rickie Fowler and Lexi Thompson, and the Scuderia Ferrari Formula One team. 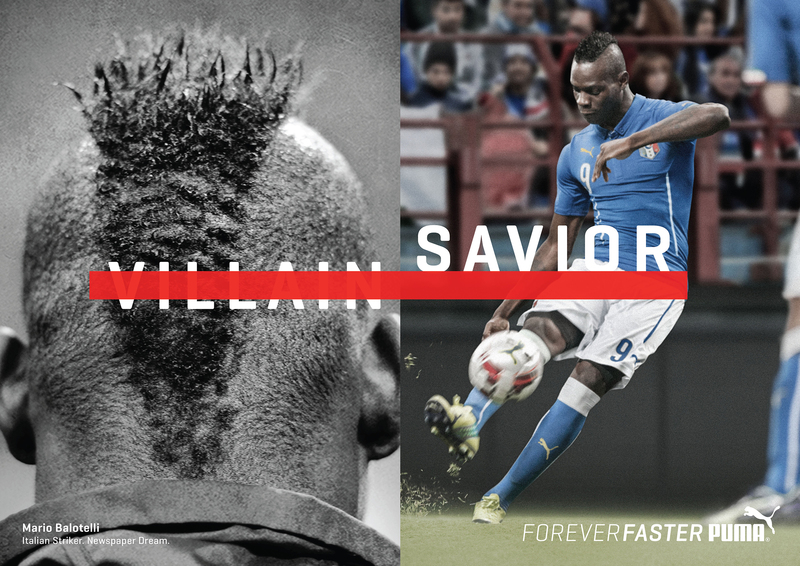 The campaign is online at puma.com/ForeverFaster. In the Forever Faster commercial each of the athletes can be seen soaking in a hot tub surrounded by models, truly living the glamorous life of the bad, beautiful and talented. The hot tub acts as fun stage where the athletes deliver their invitation to join their rebellious cause. 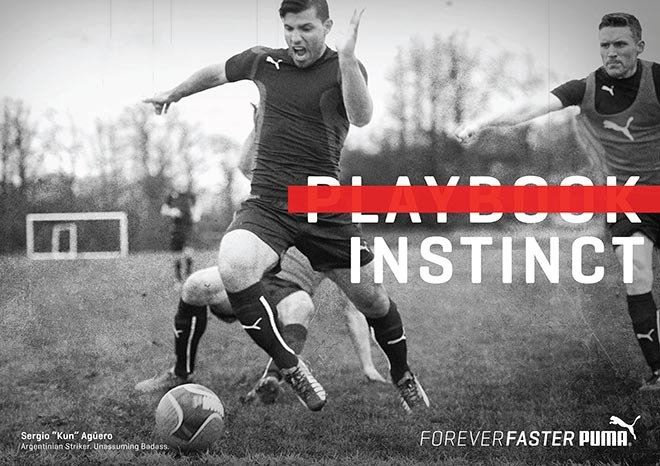 Forever Faster embraces the thrill of being first, the swagger of being the best, and the fun of being able to adapt; but it is also an ethos that goes beyond the boundaries of a marketing campaign. It signifies the desire to quickly identify product designs and innovation, trends and style and bring them into the marketplace in a more dynamic manner. 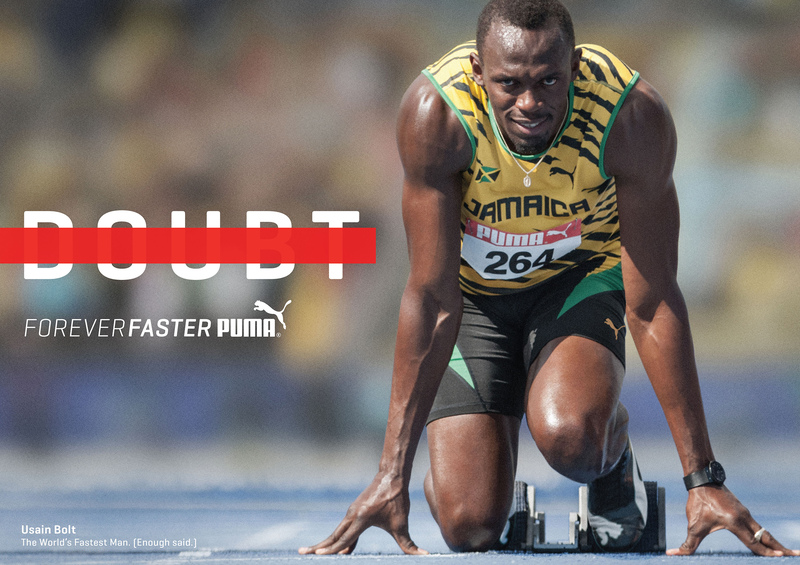 As well as a brand platform, Forever Faster is a company mentality. 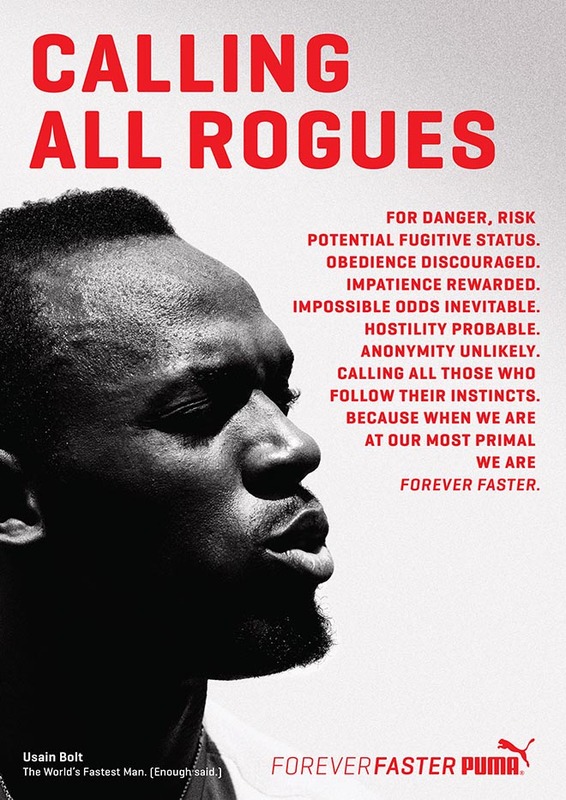 Calling all rogues for danger, risk, potential fugitive status. Obedience discouraged. Impatience rewarded. Impossible odds inevitable. Hostility probable. Anonymity unlikely. Calling all those who follow their instincts. Because when we are at our most primal we are forever faster. Usain Bolt The World’s Fastest Man (Enough Said). 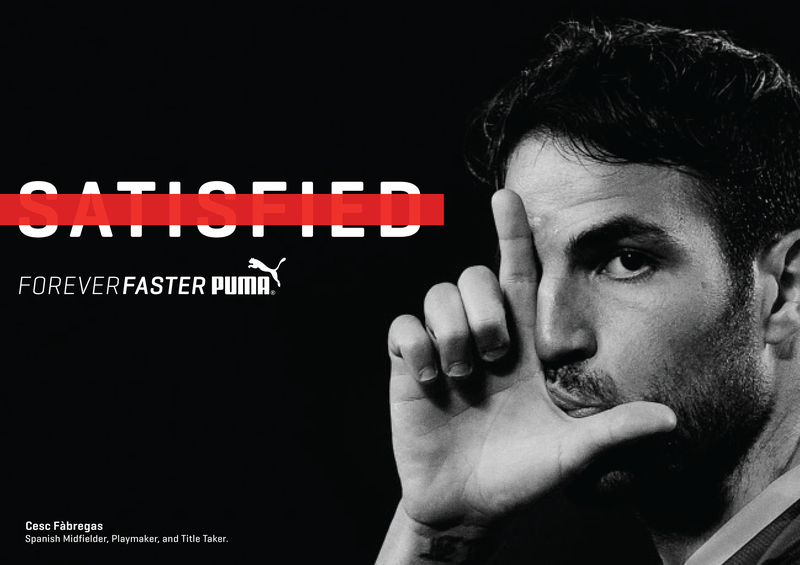 The Puma Forever Faster campaign was developed at JWT New York by chief creative officer Jeff Benjamin, creative directors Dan Morales, Chad Baker, Betsy Decker, Donnell Johnson, head of art and design Aaron Padin, design director Graham Clifford, lead Designer Soyeon Yoo, designer Emely Perez, planner Jessica Navas, head of production Lisa Setten, executive producer Matt Anderson, project manager Olivia Edgren, account team Greg McConnell, Brian D’Entremont and Jayna Clarke working with Puma marketing team Adam Petrick, Alex Lowe, Rachanee Charoenying. Media was handled at Zenith Optimedia. Filming was shot by director Gerard de Thame via Supply & Demand Integrated with executive producer Jeff Scruton, senior head of production Rika Osenberg, producer Fabyan Daw, director of photography Mauro Fiore. Editor was Joe Guest at Final Cut NY with assistant editor Betty-Jo Moore. Post production was done at The Mill by executive producer Melanie Wickham, VFX producer Veronica Ware, shoot supervisor Andrew “Barnsley” Wood, creative director/2D lead artist Westley Sarokin, 3D lead artist Wyatt Savarese, 2D artists Naomi Anderlini, John Mangia, Rosalind Paradis, Jeff Butler, John McIntosh, Jeff Robbins, Jamin Cutler, Brandon Danowski, John Price, Iwan Zwarts, Amanda Amalfi, Jamie Beckwith, Gavin Camp, Michael Sarabia, 3D artists Hassan Taimur, Justin Burton, Ryamond Leung, Tim Kim, matte painters Shannan Burkley, Sun Chung, colourists Mick Vincent and Michael Rossiter, art department Vivian Kim and producer Samantha Axelrod. Further visual effects were by Trace VFX, Bogdan Mihajlovic and Cinnamon VFX. Music was produced at KBV Music.